Tallboy70 and Enzo like this. Hmm. But have they got the manufacturers on board, that's the question...? After all they were the ones who wanted the current engines as they were supposedly 'road relevant'. But F1 has a problem looming, Like it or not, by 2030 road cars will be electric, so F1 has to either become an electric series or take the drag racing route and divorce itself from road relevance (and perhaps manufacturers in the process). I'm really not sure how F1 is road relevant in any way. Yes, the cars have 4 wheels, an engine, a chassis, a steering wheel and brakes but that is where the likeness stops. Touring cars are road relevant. Rumours now of a V6 Twin Turbo with no MGU-H.
How about this 2027 Vision Concept from Renault? erich77 and Mr_Orange like this. But seriously, of there is a protection for the drivers they should get it! Yes, the Ferrari protection design looks pretty obstructive to me. 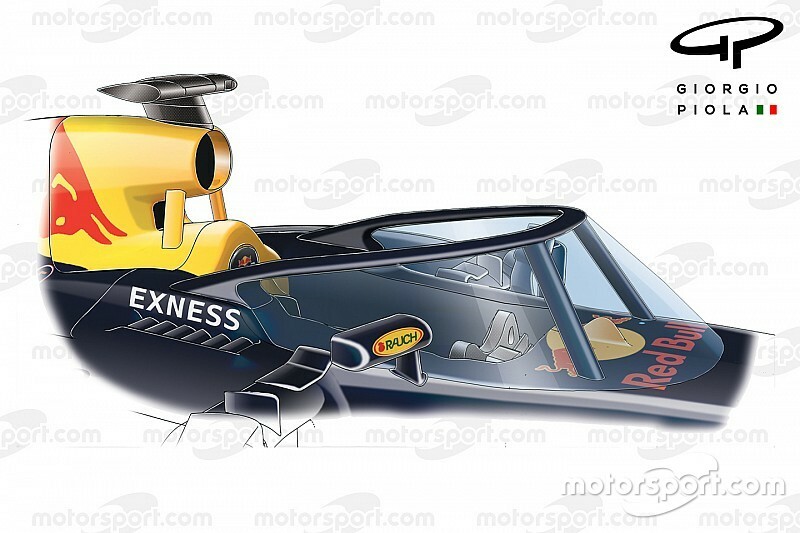 I prefer the design that Red Bull was exploring last year. SteveP, erich77 and WernerBoeinck like this. I read that this design made the driver feel dizzy and sick. Not good for an F1 driver!! Wow; most likely caused by the curved light refraction. Hadn't seen that. Porsche is reported to be in contact with Liberty and Ross Brawn. They are interested to build power units according to the 2021 rules. They will not have their own car. Viva McLaren!! Jean Todt is steadfastly opposed to bringing back the V10s for environmental reasons and social responsibility reasons. But then he’s also up for re-election as FIA president shortly and could be deposed by someone more friendly to 20,000 rpm.